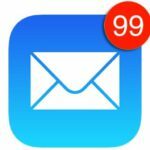 While the stock Apple Mail application works for most, it doesn’t for those who use Google’s services. Awhile back, Apple decided that it would not let Gmail users receive notifications as soon as an email was received. 4.1 Confidential Mode Button Missing? Instead, you were left waiting within a 15-minute window before the server would be refreshed. 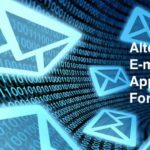 This has led to many folks trying new email apps, including Google’s own Gmail app. 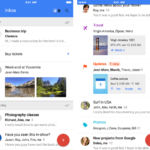 Back in April, Google announced a complete redesign of the web the client of its email services. This has trickled down to the mobile app, as well, as new features have been added. 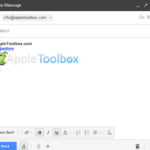 Here is a brief overview and how you can use Gmail Confidential Mode on Mac. After the update is downloaded, you’ll be greeted with the same design that you have become accustomed to. However, under the hood, there are a few new features to help improve security and more. One new feature is ‘Confidential Mode’ which includes a few different subsets of features. Perhaps the most important is the ability to set expiration dates to messages. 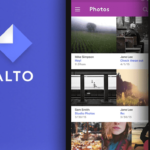 This will make it easier for users to send sensitive information without worrying about the email sitting around and being accessible. Those who receive these emails will not be able to forward, copy/paste, download, or print the content. Google has even added the ability to require the recipient to authenticate via text message before viewing the email. Before you reap the rewards of these new privacy and security features, you’ll need the new Gmail interface. If you haven’t logged into the web client for a while, you will see a prompt at the bottom. The Gmail web client will then reload and may take some time to do so. After it has reloaded, you should be presented with the brand-new Gmail interface. 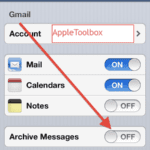 Then you can get started using the Gmail Confidential Mode on Mac. As we stated above, many of these features are now available through the Gmail app, along with the web client. We’re going to take a look at how you can get started with Confidential Mode. 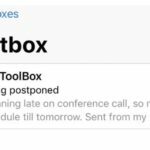 When you are creating a new email from the Gmail web client, there will be a new icon at the bottom. The icon is placed right next to the “Gallery” icon, and looks like a lock with a clock. After you have clicked on the icon, the settings for Confidential Mode will appear. From here, you can set the expiration date, along with whether a passcode is required to access the email. Once you have decided the parameters, you can click “Save” and these will be applied to your email. From there, you can finish composing the email and send it to the necessary recipient(s). Unfortunately, it seems that there is no way to actually compose an email with Confidential Mode on the iPhone. However, you can still view and interact with the email from the Gmail app. Below that, there will be a “Verify Identity” box explaining that you need to confirm your identity. Once the code has been entered, the message will then reveal itself. Once the expiration date has been reached, the email will then disappear from your inbox forever. 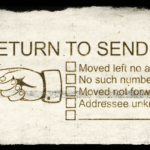 Some folks have run into issues with the Confidential Mode button now being available. As mentioned above, you will first need to enable the new Gmail before taking advantage of these features. However, if you have already performed those tasks and still don’t see a button, then you may just be temporarily out of luck. Google has been rolling out these features over the last few weeks. With these new updates, it takes time for the features to become available for everyone. Unfortunately, there is no way to “force” the update to appear, leaving you just to wait until it arrives. The new Confidential Mode in Gmail is a great way to send secure emails without worrying about them falling into the wrong hands. The feature should be available for many of you already, provided that you have the new Gmail interface. If you run into any issues or have any questions, just let us know in the comments below and we’ll be sure to help!